By filling out and submitting the form, you consent to the necessary processing of your personal information in order to resolve your enclosed request in accordance with our Personal Data Processing Policy. PRESS RELEASE: Munich, Germany / Prague, Czech Republic / Los Angeles, USA (Oct 17, 2017) – VRgineers announced it has integrated NVIDIA VRWorks™ Software Development Kit (SDK) to further enhance the high-resolution enterprise-ready virtual reality (VR) headset, VRHero 5K. VRgineers’, the Czech-US virtual reality engineering company, has been quietly producing and selling their revolutionary 5K headset to carmakers like BMW, Audi, Volkswagen, and Skoda. VRgineers initially focused on these enterprises because they have high-quality 3D content and a clear VR use case: It accelerates their design and prototyping processes and helps evaluate possible new models. The company is now expanding to architecture, training, and simulations, with clients already in the pipeline. VRHero 5K’s crystal-clear imaging allows car designers to accelerate the development of new prototypes; jet pilots to experience a realistic cockpit environment; and architects to fine-tune the smallest details of a future building. By integrating NVIDIA VRWorks, a comprehensive suite of APIs, libraries, and engines, VRgineers enables enterprise customers across a broad range of industries to easily adopt VR for their businesses and immersive, high-fidelity virtual reality experiences. “We put significant research and innovation into VRHero 5K to reach the image clarity that’s needed when you take VR beyond gaming: dual-screen 5K resolution; 170-degree field of view; our patented custom-built optics; the ability to display 16K images and videos; and adjusting both focus and IPD. Implementing NVIDIA VRWorks has helped us push the envelope of the technology,” said Marek Polcak, CEO and co-founder of VRgineers, who was also a speaker at the recent GTC Europe in Munich. VR and AR headset shipments worldwide are projected to reach almost 100 million units in 2021, according to IDC – up nearly tenfold from the 10.1 million units shipped in 2016. Goldman Sachs estimates the total addressable market for VR hardware at USD 35B in 2025. A significant portion of that will go to enterprise VR, the market that VRgineers is focusing on. 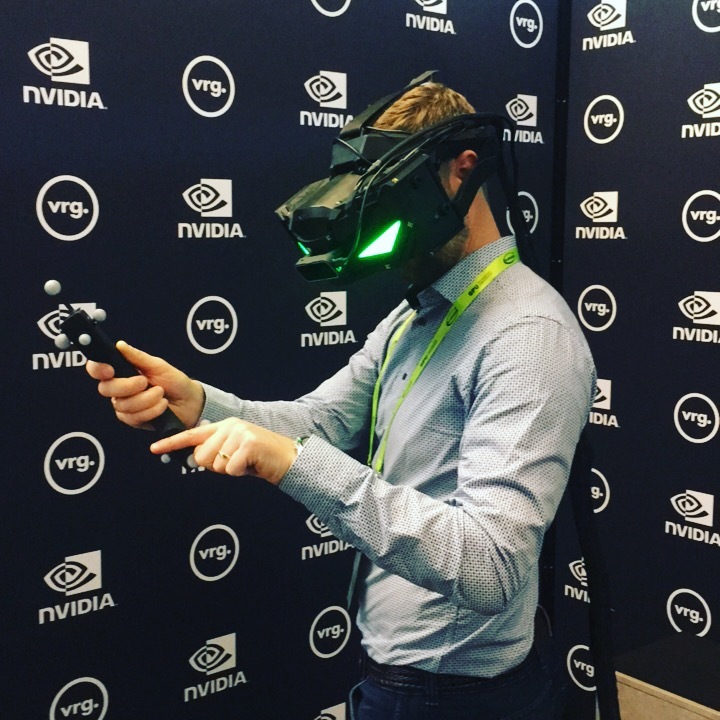 VRgineers was one of the partners exhibiting at the VR village at NVIDIA’s GTC Europe to demonstrate to professional visitors from all over the globe the value of higher-resolution, high field of view enterprise-grade HMDs. VRgineers, Inc., is a virtual reality engineering company producing cutting-edge enterprise-grade VR gear for professionals. Their new generation high-resolution VR headset, the VRHero 5K, is used by clients in the automotive, architecture and training sectors, enabling them to transform their work using VR. By submitting your email and the form, you agree to the necessary processing of your personal information in order to send you commercial offers in accordance with our Personal Data Processing Policy. Your permission must be affirmed through the email we will send you to confirm your data is correct. Copyright © 2018 VRgineers, Inc. All rights reserved.